DOAR & Affiliates hosts students completing clinical rotations or internships, observation hours, and volunteer experiences. Students are pursuing or interested in careers in physical therapy, occupational therapy, or athletic training. For more information, visit our Student Resources page. 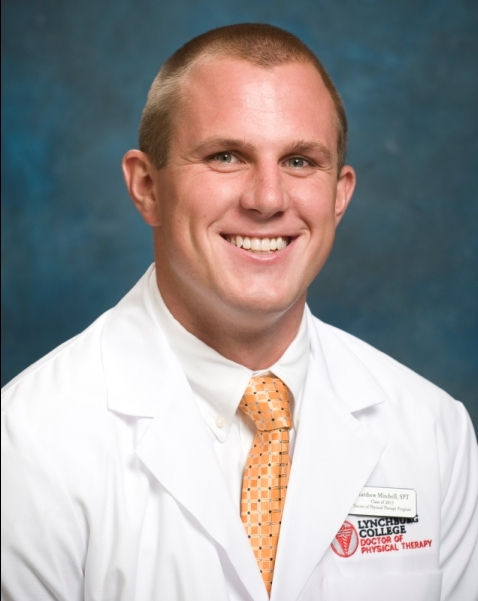 Matt Mitchell is a third year Doctor of Physical Therapy Student at Lynchburg College in Lynchburg, Virginia. He is currently completing a 2 month clinical rotation at Danville Orthopedic & Athletic Rehab under the instruction of Eric Lackey, MPT. He is also spending time at our sister company, Center for Pediatric Therapies. Matt previously completed two clinical rotations at White Oak Manor in Rock Hill, South Carolina and BenchMark Physical Therapy in Knoxville, Tennessee. Prior to pursuing a career in physical therapy, Matt volunteered at Blacksburg Physical Therapy. He holds a bachelors degree in Exercise, Sport, and Health Education from Radford University in Radford, Virginia. While a student at Radford, Matt was the assistant soccer coach at Blacksburg High School, and also volunteered at the Special Olympics. Matt is a native of Blacksburg, Virginia. Q: Why are you pursuing a career in physical therapy? never a dull moment in this profession, and I get help people improve their health. Q: What role does the clinical rotation play in your physical therapy education? A: Clinical rotations are very important to my education. It is an opportunity to interact with real patients, get hands on experience, learn different approaches to treatments, put our knowledge to work, practice manual skills, and allows me to be more comfortable in a real world situation. Q: What were you looking for in a clinical instructor and clinical site? A: I am in my third rotation right now and I think what I am looking for is an instructor that will give me some space to try my own strategies and approaches to treatments but at the same time I want to operate in accordance to how that clinic is run. I think it is important to be independent but also know when you make mistakes and the instructor helping you learn from those mistakes. Q: What are your goals for your clinical rotation at Danville Orthopedic & Athletic Rehab? A: My goals are to be independent with simple (one diagnosis) evaluations and treatment sessions; be cued less than 50% of the time during complex (multiple diagnoses) evaluations and treatment session; and learn different approaches to treatments. I also want to gain more knowledge of billing for patients that have Medicare and to gain more knowledge of health insurance policies and reimbursement in general. Stephanie Berger is a third year Doctor of Physical Therapy Student at Lynchburg College in Lynchburg, Virginia. She is currently completing a 2 month clinical rotation at Danville Orthopedic & Athletic Rehab under the instruction of Kate Albright, PT. Prior to pursuing a career in physical therapy, Stephanie worked a a physical therapy technician and shadowed Orthopaedic Center of Central Virginia in Lynchburg. 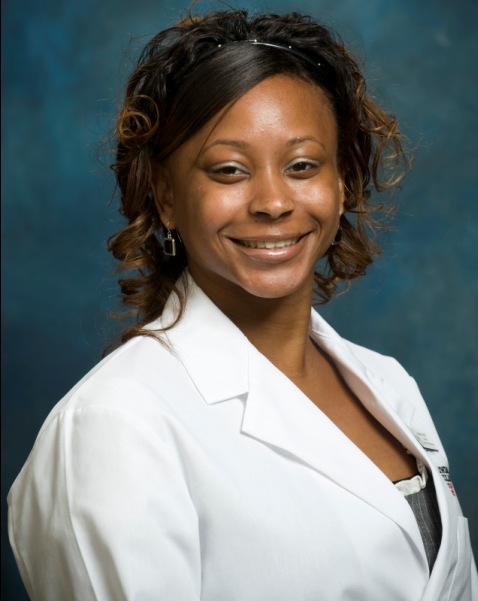 She holds a bachelors degree in Sports Medicine and Kinesiology from the University of Virginia in Charlottesville, Virginia. Stephanie is a native of Gretna, Virginia. Why are you pursuing a career in physical therapy? I am pursuing a career in physical therapy because I want to make a difference in the lives of individuals recovering from medical conditions. As a child, I received help from several medical professionals. I want to give others the same joy and experience I was given. I have a desire to help others and to give back. What role does the clinical rotation play in your physical therapy education? This clinical rotation at DOAR plays a significant role in my physical therapy education. I plan to seek employment in the outpatient orthopedic setting upon graduating form the physical therapy prgram. This clinical rotation is giving me the opportunity to gain experience in an enivironment that directly correlates with the setting I wish to obtain employment. What were you looking for in a clinical instructor and clinical site? I was looking for a clinical site/instructor that would offer a great learning experience.I feel that mentorship and an open learning environment are crucial for a developing student or new graduate.I also like to be challenged. At the end of the day, I want to know that I can offer the best care for my patients. What are your goals for your clinical rotation at DOAR? My goal for my clinical at DOAR is to become more proficient in my examination process in the outpatient orthopedic setting. I am confident in my abilities to provide care, and I feel that repetition and practice can further my abilities. Each patient is different, so I appreciate each new experience.I also enjoy learning to be flexible to what each different patient needs. Brian Stone is a student in the physical therapy assistant program at Surry Community College in Dobson, North Carolina. He is currently completing a clinical rotation at TheraSport Physical Therapy, under the instruction of Diana Rizza, PT. Prior to pursuing a career in physical therapy, Brian worked as a teacher assistant for Rockingham County Schools. He discovered an interest in physical therapy through volunteering at Annie Penn Hospital in Reidsville, North Carolina. A native of Madison, North Carolina, Brian is a graduate of Rockingham Senior High School. He earned an associates degree in Business Administration from Rockingham Community College. My clinical rotation is very important and the next step in my education. The past three semesters in the PTA program has been the preparation for entry into a PT environment to continue to build upon and prepare me for the work place. I wasn’t quite sure what to look for. I talked with my instructors as preparations were made for my first clinical. I wanted to learn, be professional, humble, and open to my clinical instructor and try to do whatever was asked of me. I was wanting a clinical site where I felt at home and connect with everyone. I found that with Diana Rizza and the Therasport employees. What are your goals for your clinical rotation? 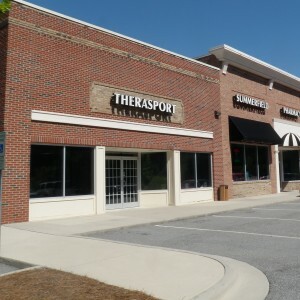 My goals for my clinical rotation at Therasport are to gain more confidence in communication with physical therapy and patient interaction, better comprehension of patient’s information in file, and to soak the entire experience up like a sponge. 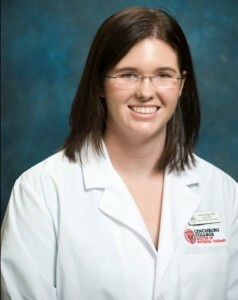 Aislinn Hundley Rhodes is a third year Doctor of Physical Therapy student at Elon University in Elon, North Carolina. She is currently completing a six month clinical internship at TheraSport Physical Therapy under the instruction of Diana Rizza, PT. Prior to pursuing a career in physical therapy, Aislin worked as a board-certified dietitician at a community clinic serving pregnany and post-partum women, as well as infants and children under age 5. She holds a bachelors degree in dietetics from the University of Georgia in Athens, Georgia. Aislinn is native of Cary, North Carolina. 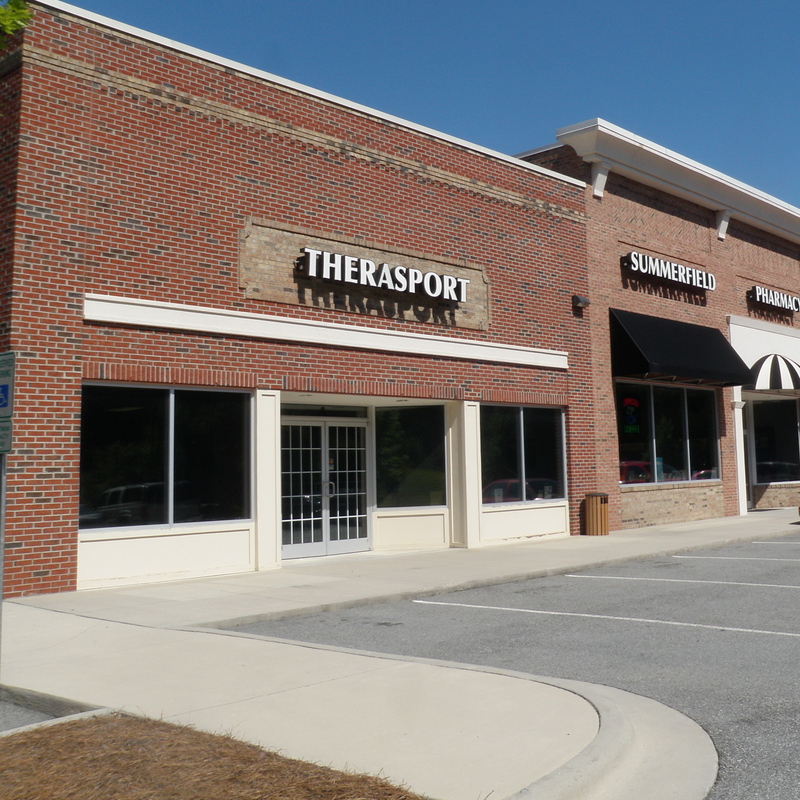 I worked as a physical therapy tech for 2 years in Athens, Georgia for an outpatient clinic. I have wanted to be a PT ever since going with my grandpa to his PT session after getting his knee replaced. That was 17 years ago, and I am finally meeting my goal of becoming a physical therapist! To me, my clinical rotations are the most important part of the education we get. Book learning is very important but con only take one so far- in the clinic is where you get to see what you have really learned, and continue to learn from great clinicians who have been in this field and love it! I was looking for someone who was knowledgeable, always learning but passionate about what they do. Also, I work best when I get to do things, especially new things, so I wanted to be with someone who would help challenge me everyday. My goals are to learn as much as possible, not just about how to evaluate a patient and transition their treatments to meet their goals, but also how to connect with different people and be a better observer. If you really pay attention to people and what they are doing, it can tell you a lot! Lee Ann Fulper is a third year Doctor of Physical Therapy Student at Lynchburg College in Lynchburg, Virginia. She recently completed a clinical rotation at DOAR Central, where she received hands-on experience under the supervision of Kate Albright, PT. Prior to this rotation, Lee Ann completed an internship at Medical Facilities of America’s skilled nursing facility in Gretna, Virginia. She also volunteered at Rehab Associates of Central Virginia’s orthopedic office in Hurt, Virginia. Lee Ann is a graduate of Gretna High School in her hometown of Gretna, Virginia. She earned a Bachelor of Science in Psychology from Virginia Commonwealth University in Richmond, Virginia. I enjoy working with people and helping them feel better. My passion is truly to help others regain function so that they can carry out happy and healthier lives more independently. Clinical education is crucial to the physical therapy curriculum. It is important to get out into the field and work with real patients who have real dysfunctions. It is also a rewarding atmosphere that allows students to gain confidence in skills that they have learned in the classroom. I look for a welcoming clinic staff and a clinical instructor who is eager and excited about their job and helping teach a newcomer. I found each of these at DOAR Central. My goals for my clinical rotation at DOAR were to gain experience and confidence in the outpatient setting while advancing my clinical and time management skills, which I feel I accomplished with my CI, Kate, along with the rest of the awesome staff at DOAR Central.